After a busy fortnight and also being sick for the past week I was finally able to get back into the swing of blog related things today. This included shooting these gorgeous Erstwilder pieces and drafting some posts. 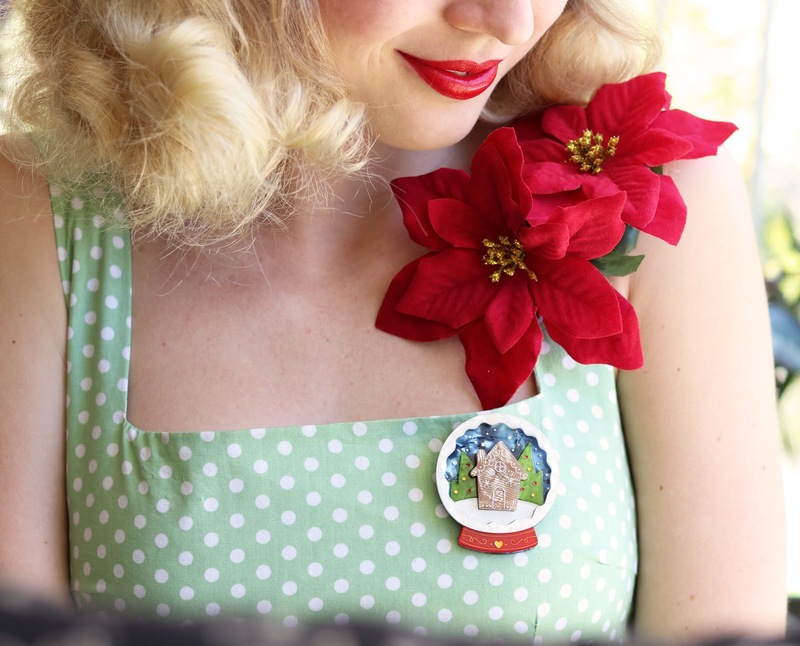 As I mentioned above, Erstwilder Christmas is one of my favourite releases each year, they're really beautiful and a great way to add a bit of festivity to an everyday outfit whether that be dressed up or more casual. I had a hard time picking favourites (as always) but these three really stood out to me and are all a bit different. 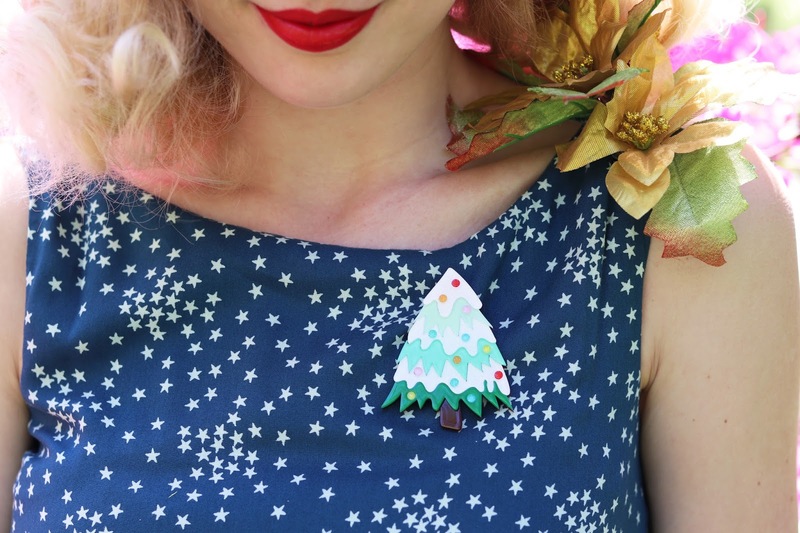 The To Be Jolly Christmas tree is perfectly pastel and nice and colourful, I can already imagine pinning it to a variety of different outfits but I thought it looked quite cute pinned to this star print. 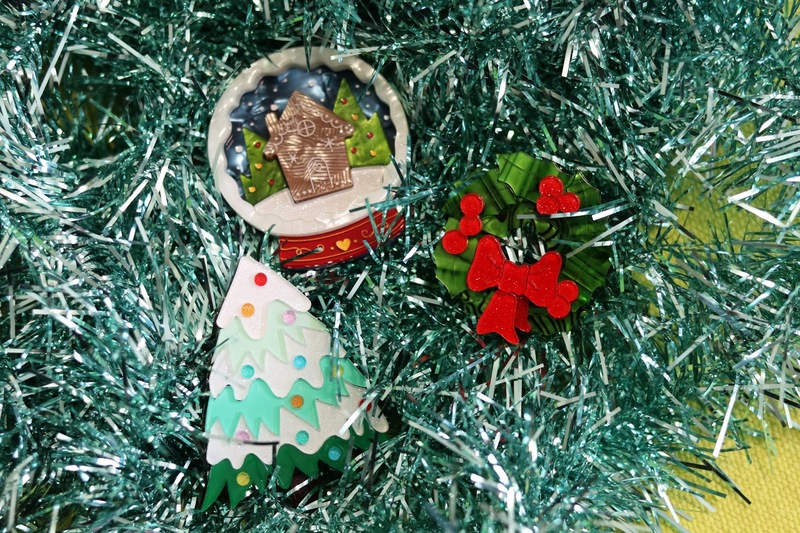 The Seasons Greetings snow globe brooch is adorable and the more I look at it, the more I imagine what is happening in the cottage. 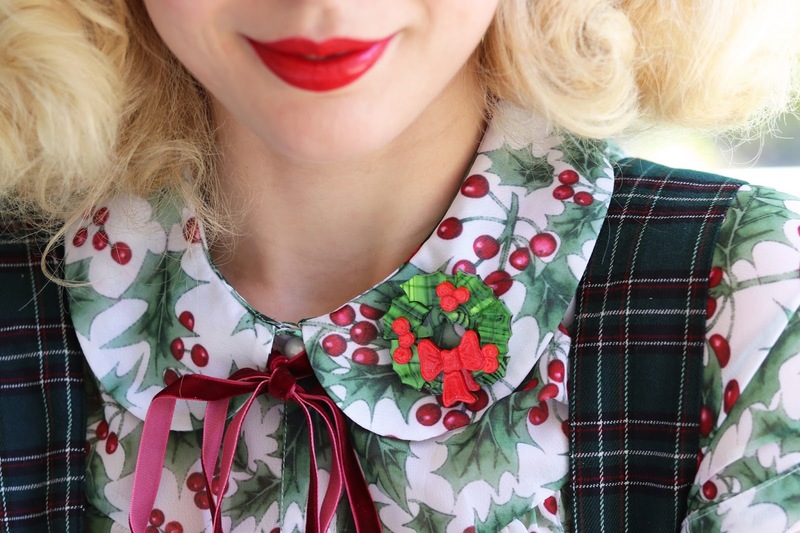 It's classic Christmas and super cute, though I find it to be a real elegant and highly detailed piece at the same time. 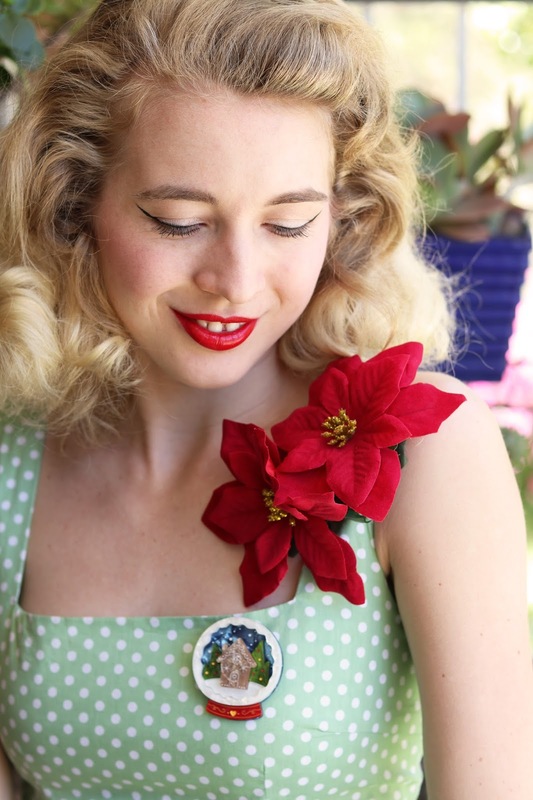 The Deck the Halls brooch is a real traditional piece to me and the colours are classic Christmas, I just love how vibrant and rich the colours are too. Whenever my mum hangs the Christmas reef on her door it suddenly feels like Christmas to me. 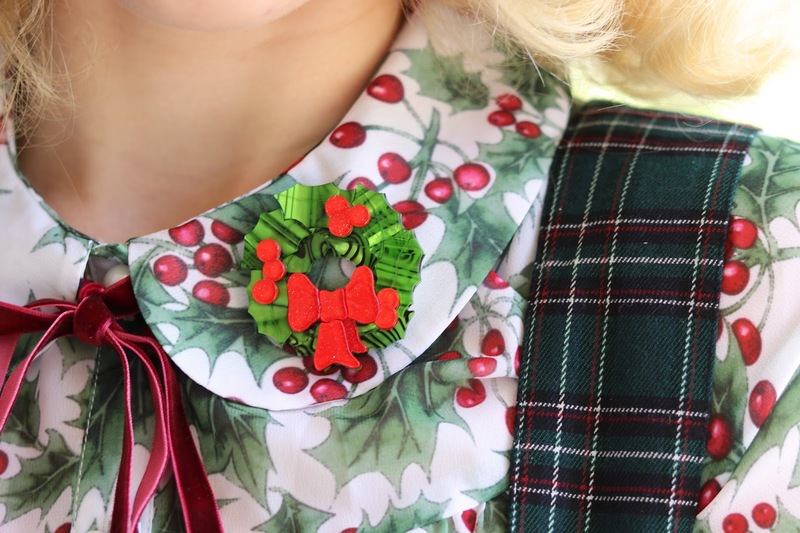 I don't believe in putting the tree or any decorations up until December hits, which explains the lack of festive decorations in this post but hey I will start wearing my festive accessories with no question asked. 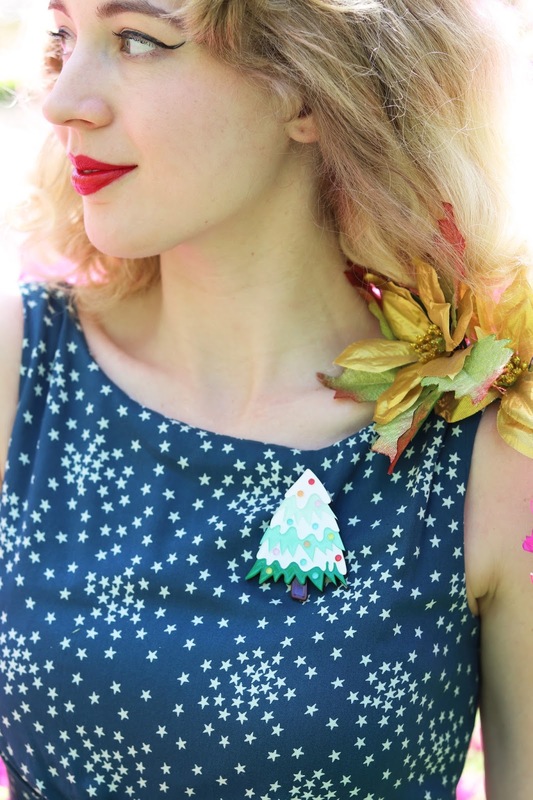 I love that these three pieces are all so different in design and the colour schemes... One more I think I will add to my collection is the Christmas lights brooch as they are one of my favourite things about the festive season. Do you have a favourite from the new Erstwilder range?